After my recent water marbling success with my own custom formula polishes, I was feeling pretty confident about my water marbling skills. Confident enough in fact, to try out another brand again to see how I would go. 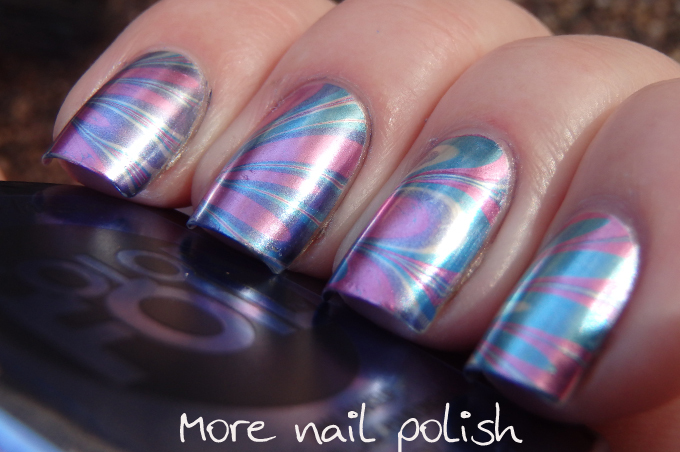 Having recently bought the Sally Hansen Color Foils, I knew they were the perfect finish for the Metallic theme on the 31DC2014, and I wondered how well they would marble, it turns out they marble beautifully. 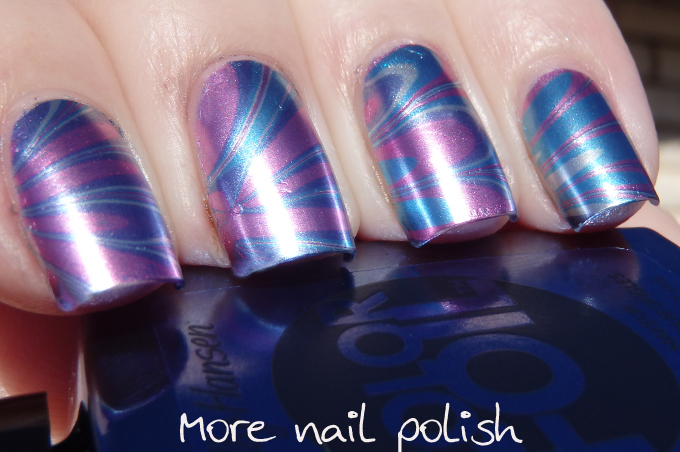 I used four colours from the Color foils collection, Titanium Flush (pink), Purple Alloy (purple), Cobalt Chrome (blue) and Stirling Silver (silver). 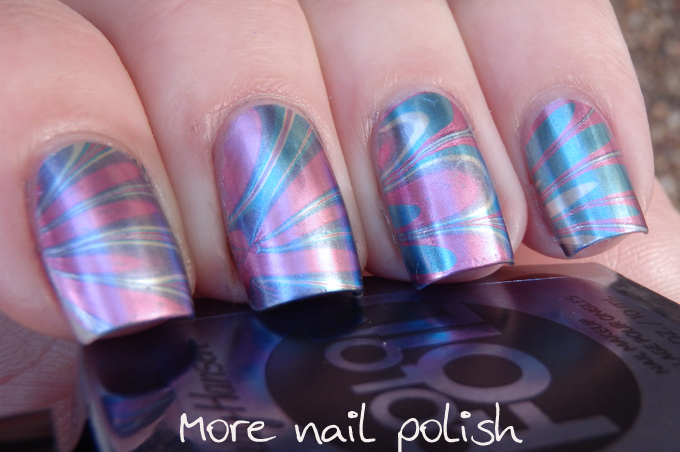 For some reason the pink shade spread in the water much further than the other colours and that is why the mani has larger pink sections, however I still love the final look - they were colourful, swirly and very metallic. So now I'm starting to get a real big head about my water marbling skills - lets just hope I don't screw it up for the actual water marble prompt coming up! My Metallic nails from 2013! Gorgeous! 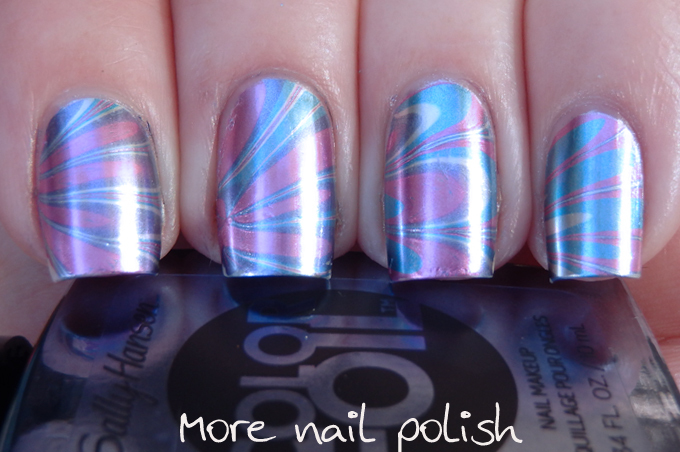 I need those color foils! Lovely mani! Do you think using the chromes this way makes them less prone to showing imperfections in the nail? Nah, probably not. I buffed my nails last month when I swatches the color foils, so they are nice and smooth at the moment. Oh man! 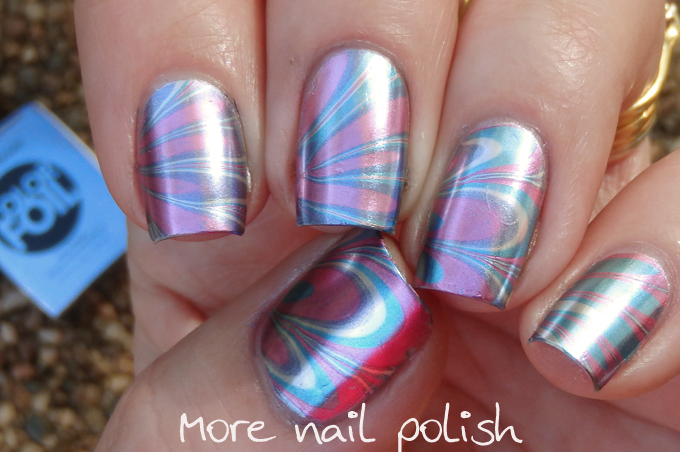 I figured they dried so fast that they would never be watermarble-able...I need to try this now. Absolutely stunning. Did you use a base, or just your buffed nails? Oh wow, this is gorgeous! 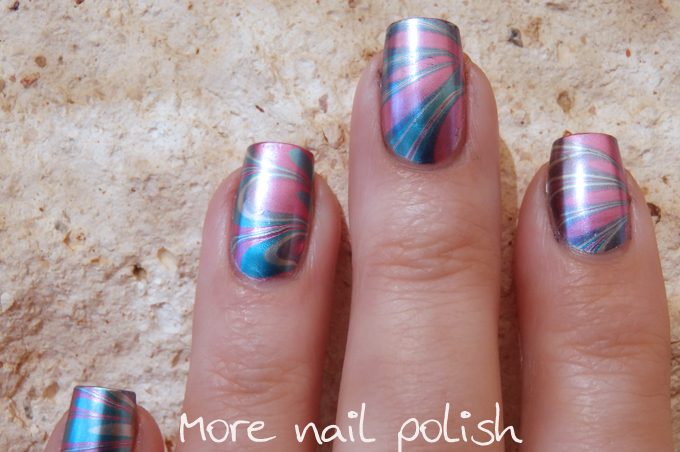 I have the color foils at home, so I think I'll be trying a watermarble with these (buffed nails or not ;) ). I just assumed these would be terrible for watermarbling! Looks like I've got to find some time to play now!